To deconstruct the genius of Bach, to fathom how the cold math of line plotted against line, note riding against note, voices knitted into voices, can translate into sounds often held up as the very pinnacle of Western music, to explain the whole history of a composer who the history books insist “invented” musical grammar but whose reputation evaporated from view for a hundred years after his death in 1750 – the name “Bach” meaning a famous teacher and organist to most people living in the early 1800s – to view Bach not through the prism of our twenty-first century minds, where we might mistakenly assume that the lifestyle, function and expectations of a composer were the same as today, but to place Bach in the right historical context, could take some kind of genius in itself. Or perhaps not. Wrapped up in the mystery of Johann Sebastian Bach is his very familiarity. Once you’ve internalized the lessons of harmony and counterpoint that Bach formalized in the near-200 chorale harmonizations he wrote throughout his life and in works like the The Well-Tempered Clavier (BWV 846-93) – the so-called forty-eight; two books each made up from a prelude and fugue in all twenty-four major and minor keys – practically every note he composed can be slotted neatly into his rational and consistent system. Familiarity is bred from an early age. Every night my two- year old son goes to bed, his music-box offers two choices: sounds of nature or Bach, the inference being that at some deep human level they have become interchangeable. And if, one day, my son goes to music college, those same Bachian principles of harmony and counterpoint will be hardwired into his consciousness like, at primary school, the alphabet, or the reliable simplicity that one plus one is always going to equal two. Theoretically interpreting and making sense of Bach ought to be as straightforward and user-friendly as assembling an IKEA bookcase: begin with the component parts, follow the manual, and you can’t go far wrong. And a door opens on perhaps Bach’s most profound enigma. 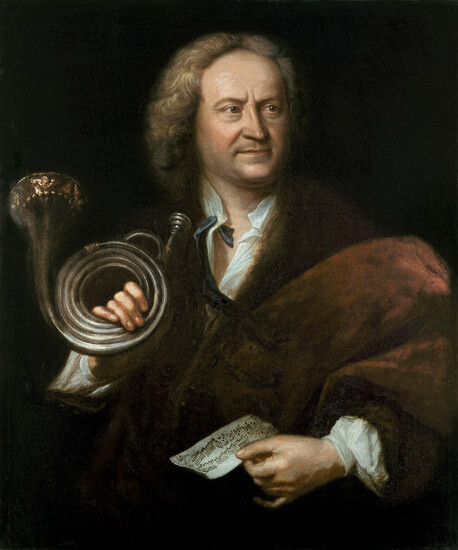 Musicians can actively hear the harmonic processes of Bach clearly and unambiguously functioning in front of their ears – unlike Haydn, Beethoven or Bruckner there are no blots from the blue. These harmonic patterns are deeply woven inside our cultural DNA. Where would the Scherzo from Mahler’s Resurrection Symphony, Stravinsky’s Dumbarton Oaks, The Kinks’ Village Green, the forward-thinking jazz of Dave Brubeck and Lennie Tristano, or The Beach Boys’ Lady Lynda have been without Bach? And yet it’s entirely possible to play all the notes devotedly and still get the music wrong. There’s a part of Bach we can’t have. 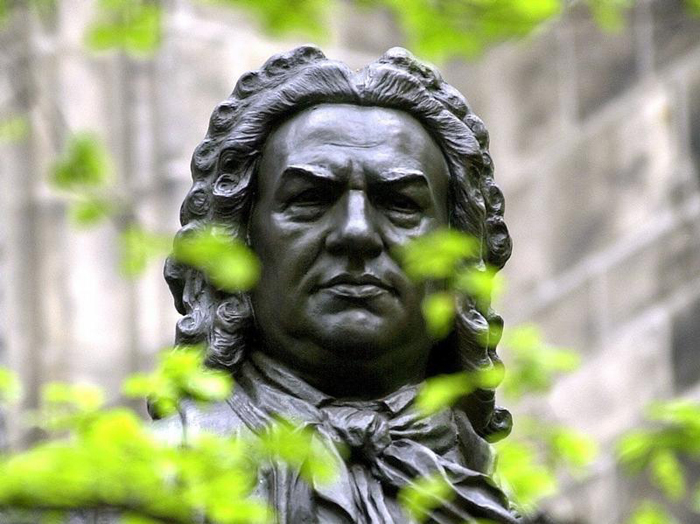 One plus one might always make two, but Bach’s music is interested in the mysteries of why. Hogwood talks about the pressure on Bach to crank out a fresh cantata every Sunday. And with his wife and sons lined up to copy parts and fill out Bach’s harmonies – applying those forever internally consistent harmonic procedures – the sheer industry of his art becomes clear. The bottom drawer was regularly and unapologetically plundered. Up against an impossible deadline? The Brandenburg Concerto no. 3 in G Major (BWV 1048), with added chorus, becomes that Sunday’s cantata. (“You don’t have any sense that a chorus is ‘missing’,” Hogwood muses, “but Bach certainly had a sense that one could be added.”) Practicality, recycling, the brutal craft of needing to have his cantata ready each Sunday was everything. Which means Bach needed his material to be bulletproof; self-generative processes, like canons and fugues, once triggered, had to slot together and move forward with the architectural logic of a subway map. No time for unpicking, correcting or finessing. Bach was a servant writing music for the greater glory of God. Move forwards a century and Beethoven’s Missa solemnis is a dialogue with the divine, albeit an essentially God-fearing one. Beethoven’s great works – the Symphony no. 5 in C minor, the Violin Concerto in D Major, his Opus 111 Piano Sonata in C minor – are dialogues with a world that has Beethoven and his obsessions at its center. The techniques of harmony and counterpoint he inherited from Bach are re-sculpted, re-constituted, thought through afresh. Each piece requires a new solution, part musical and part philosophical, that could not be turned around on weekly cycle. Which doesn’t mean Beethoven couldn’t have worked under pressure. But he opted not to – patronage had switched from the church to wealthy individuals and secular organizations. Beethoven was no servant; he was an “artist” in a sense Bach would not have understood. The modern construct supposes that Bach himself was divine, which on some level may or may not be true, but it’s not an idea that would have pleased him. His work was an attempt to deal with, give voice to, offer some humble explanation for, worlds beyond this one. The personalities and experiences of Beethoven and Mahler understandably became part of the story: the frustrations of a deaf composer, the terror of heart disease makes good copy. But Bach as physical, living presence was unimportant to the notes he put on the page. A cool, emotionally objectifying distance exists between Bach and his material; beauty and emotional resonance, rather like in the music of Varèse or Xenakis, is found in the high-intelligent design of structure, proportion and inner-order. Bach’s Goldberg Variations (BWV 988), a sequence of thirty variations on the bass line of an aria, written near the end of his life in 1741, has been endlessly analyzed, line by line, note by note, voice by voice, as music object, mathematical phenomenon and cultural icon. The work that haunted the eternally haunted Glenn Gould and bookended his recording career – cue Romanticized, rock-star idolatry – has also been reversed-engineered by musicologists with the plucky determination of scientists trying to whistleblow the formula for Coca-Cola. Bach’s proportional arithmetic, apparently, proves an irresistible draw. Certain features reoccur, structural markers in time. Every third variation is a canon, and each canon progressively imitates at a step further along the scale. The surrounding variations alternate between generic forms – dances, arias, a fughetta and at the mid-point a stately French Overture – and quick, freer form variations. How deeply performers need to grasp these underpinning numerical relationships is an ongoing point of discussion. Hawkins’ One Tree Found makes you take notice, quenches your thirsty ears, via its thoughtful riffing off Bach’s palette of techniques and its refusal to go for the easy option – hello Jacques Loussier – of aping Bach’s style. Here’s a performer who has arrived at an understanding of how Bach operated by filtering his fingerprint techniques through other preoccupations. The first section of Hawkins’ piece revisits the idea of canons, but working with improvising musicians required a shift of focus. Hawkins projects Bach into the future as a creative going concern; Hogwood tries to strip away layers of accumulated misunderstandings and outmoded ways-of-doing to reach an historically-informed view of how Bach can be played most authentically today, while a musician like the natural trumpet specialist Jonathan Freeman-Attwood has toiled at the coalfield of hard, exploratory, instrumental trial-and-error. Top of the agenda when I meet Freeman-Attwood is Bach’s Brandenburg Concerto no. 2 in F Major (BWV 1047) with its fleet, chromatically devil-may-dare, trumpet writing designed with a clarino trumpeter in mind – a trumpeter who found, lipped and tongued notes without the safety net of valves or holes.